ATLANTIC CITY (WPVI) -- Disney On Ice is back in Atlantic City for the first time in over a decade! 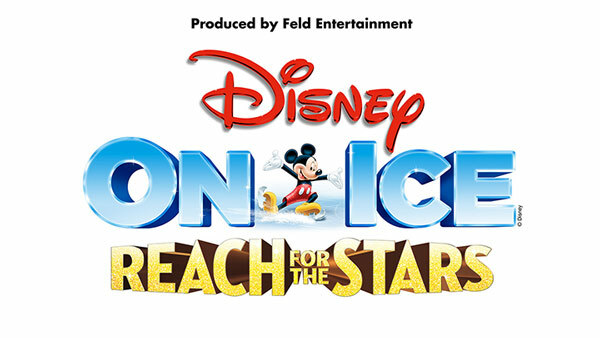 The theme "Reach For The Stars" features Disney's Frozen, Mickey Mouse, the Little Mermaid, and other timeless favorites. The show will be held from January 18th to 21st at Boardwalk Hall. One of the "Reach for the Stars" performers, Hope Gallegos, stopped by Action News last month. She said the show is all about wowing the audience and making them smile. Disney On Ice reaches for the stars in Trenton. Rick Williams reports during Action News at 12:30 p.m. on December 13, 2017. "That's definitely my favorite part. Getting to see their expressions and how excited they are to see the characters. Getting to bring that movie to them on ice is probably the best part of the whole job," Gallegos said. And our Matt O'Donnell met up with Hope to have a little fun with the Disney On Ice show props. Hope brought in the lightsticks they use in the grand finale and she showed Matt how they're used to make the show even more spectacular. "We have this big lightstick finale number where all of the stars come out at the end and are rock stars, what we call them, people all dressed up all sparkly with Mickey and Minnie, and we do extensive number with these lightsticks which looks really cool cause the lights get all dark and you just see colorful lights everywhere," Gallegos said. Tickets, which start at $15, are available now at https://www.disneyonice.com/tickets. Disney is the parent company of 6abc.